In 2012 mounting debt, infighting and a lack of funding brought Crystal Cathedral Ministries, founded by Robert Schuller, to bankruptcy. With money dry, attendance and donations down, the iconic "Crystal Cathedral" could no longer be sustained. The building was made nationally and internationally famous by Schuller's weekly "Hour of Power" that included famous musicians and singers, interviews with famous celebrities, and sixty to ninety seconds of Schuller talking about something called the Bible. The show also offered great opportunities to give to the ministry, enticing people's generosity with tempting knick-knacks such as hand-packaged high-quality plastic sculptures of a mother eagle majestically protecting her young as the light of creation bursted forth from behind her glorious wings (your gift with a donation of $100). 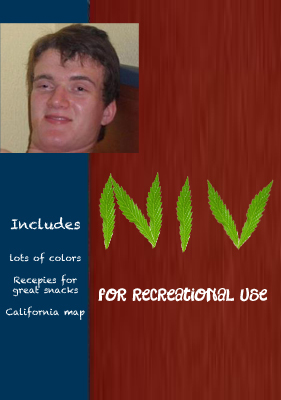 The building was sold to the Catholic Diocese of Orange County with the intention that it would be used as a Catholic Church, but TBNN has recently learned that plans have changed. "After long and difficult deliberation the Diocese has decided that the property will be best utilized commercially as a Krystal Hamburger restaurant." Said Fr. Paul Webb, who has been appointed head of the transition committee for the property. 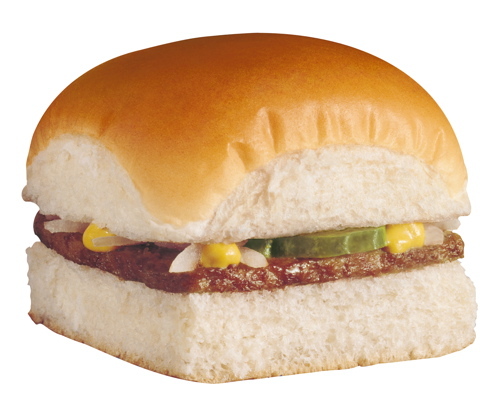 The popular restaurant is known for its small, bit-sized hamburgers comprised of an all-beef 1/64 lb. patty, a four-inch tall bun, two rice-sized pieces of onion, one pickle, several dots of mustard, and 1/4 cup of catchup, all of which, for some reason, takes a baffling 25 minutes to make from the time of ordering. Despite the fact the burgers resemble what a twenty-year-old bachelor might put together with random ingredients found in his apartment cabinets, they are very popular, and Krystal franchises continue to expand into new markets. "We thought of turning into a Catholic Church, but as we began to consider our other options and look at the numbers, the idea of a restaurant popped into our heads. Someone spoke up and said "Wouldn't it be funny if Krystal wanted to move in?' He was only joking, but we all thought it was brilliant. We immediately contacted Krystal." It wasn't until almost a month later that an agreement was reached. 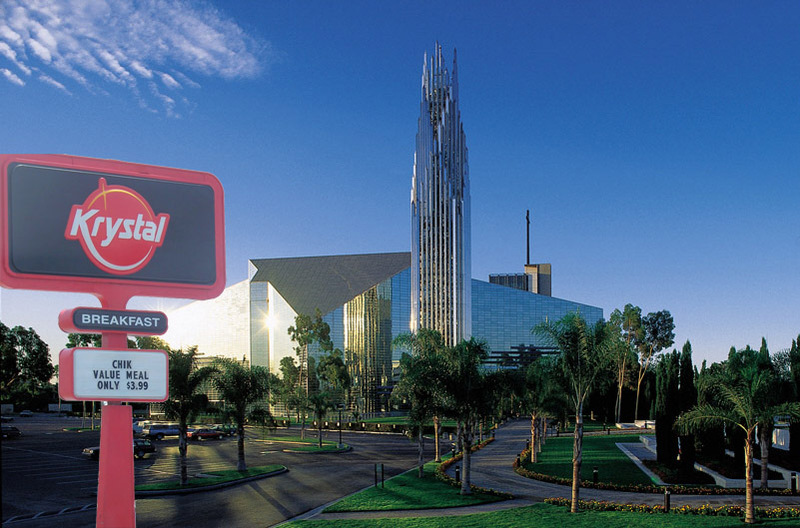 By the end of this summer the current Crystal Cathedral congregation will be moving out, and what will become the largest Krystal restaurant in the world will be moved in. "We're very very excited about this new location," said Ron Whittsetter, regional director for Krystal. "We'll be able seat almost 1000 people in our new location. On top of that we'll still have the pipe organ, so we're hoping that people will begin to look at us in a little bit of a different light. We can just imagine couples coming here and having romantic dinners as the pipe organ plays.